Enjoy the breathtaking beach views at this Daytona Beach resort, The Plaza Resort & Spa: Daytona Beach, Florida. 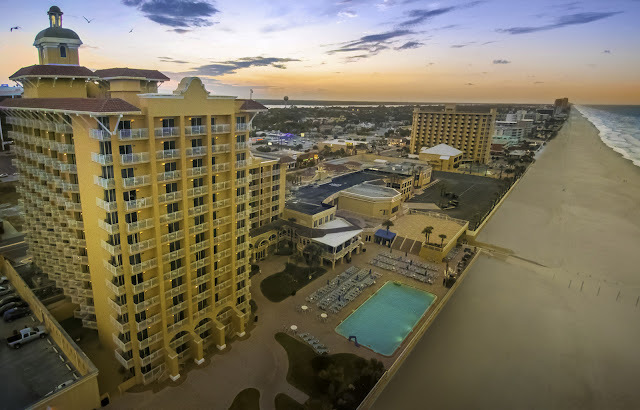 Nestled on the beach, this Daytona Beach hotel is within 6 mi (10 km) of Beach at Daytona Beach, Halifax Harbor Marina, and Riviera Country Club. Daytona Beach Golf Club and Oceans Golf Club are also within 6 mi (10 km). Spend the day relaxing on the beach or pampering yourself at Plaza Resort & Spa's full-service spa. All 323 rooms feature comforts like pillowtop beds and premium bedding, while conveniences include refrigerators and microwaves. Free WiFi and room service are standard, as are plasma TVs with cable channels.